There are many black foods, which are beneficial for our health. These black foods increase the glow of the skin. Black Gram: It has anti-oxidants. It also has high amount of fiber. It increases the glow of the skin and improves digestion. Black Salt: It has iron and calcium. It is beneficial in anemia and strengthens the bones. Black Sesame: It has potassium and fiber. It protects us from heart attack and improves digestion. Black Coffee: It has oxalates. It is effective in detoxification. It protects us from kidney problem and increase the glow of the skin. 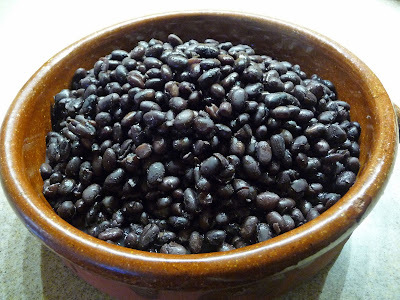 Black Beans: It removes toxins from the body. It controls blood sugar level. Glow of the skin increases. It helps to control diabetes. Black Grapes: It has carbohydrates and nitrates. It removes weakness and strengthens the muscles. Dark Chocolate: It decreases cholesterol level. It has high amount of flavonoids. It protects us from heart diseases and improves mood. Black Pepper: It has high amount of paperin and protein. It reduces weight. It is beneficial to strengthen muscles. Black Tea: It has amino acid and anti-oxidants. It reduces stress and effective to increase beauty.